Photo courtesy of the Monta Vista F.I.R.S.T. Robotics Team. The good news? The Monta Vista High robotics team’s stolen trailer has been found by law enforcement in Utah. “Our robot was not inside and all of our tools and hardware, except for the battery cart and a few spare drivetrain plates, had been taken,” the robotics team reported online. The Monta Vista High robotics team was in Salt Lake City last weekend to compete in a robotics competition when, overnight at its hotel, its trailer was hauled away by thieves. The lost robot built entirely by students is estimated to be worth up to $50,000, and the tools were also worth thousands of dollars, according to reports by FOX13-Salt Lake City and the San Francisco Chronicle. The theft occurred after the team performed well at the competition. But the loss of their robot, named El Toro XXI, has negatively affected the team’s season — they are supposed to compete with the robot in Boise later this month. 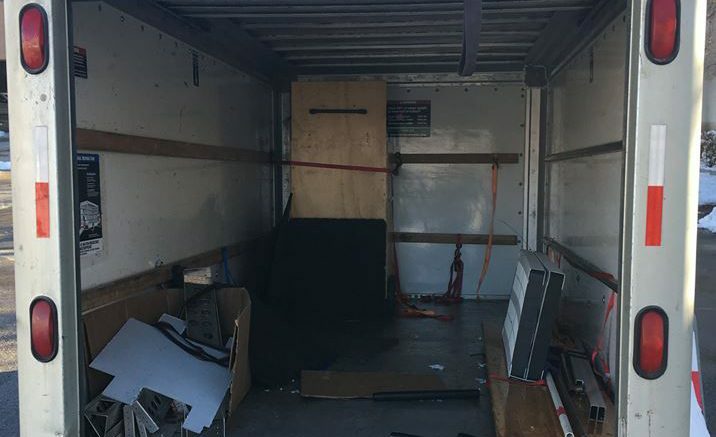 Be the first to comment on "Monta Vista High robotics team’s stolen trailer recovered, but no robot"